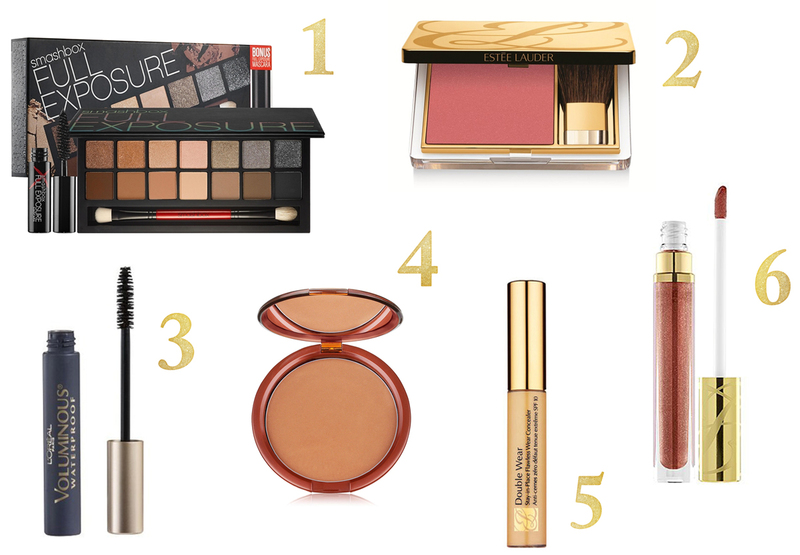 Every girl wants to look her best and what better way than with a little help from our favourite makeup must haves! I've never been a big "makeup" girl, but I do love to have a few beauty essentials on hand to help brighten my skin and add some colour to my face, and I try not to leave the house without some loose powder and blush! Here are my personal makeup must haves! I purchased this set earlier this Spring and have been in love ever since. The set is split up in 2 different ways, the top row features shimmery shades and the bottom row is the same colours in a matte finish. They also have warm shades to the left and cool to the right. It comes with a great mascara as well that you can throw in your purse for touch ups! The pigment in this blush is unreal! Blush is my #1 beauty item and you can't go wrong with this specific brand. Hands down this is my go to mascara and has been for the past 20 years. This mascara will make your lashes look full and lush without breaking the bank. Bronzer is a great way to add a little "glow" all year round. Make sure to brush a little on your neck too for an all over natural look. If you're a mom like myself, you can totally appreciate a fantastic concealer and this Estee Lauder product helps keep me looking well rested (eye glasses are also a great way to hide under eye dark circles!!). Estee Lauder has nailed this gloss in both colour pigmentation and staying power. Glossy but not sticky is what I like best about this gloss, and they have a large selection of colours to choose from as well! What are some of our beauty essentials? Leave us a comment below about what makeup items you can't live without.